Guest blog by Jeff (JR) Wakabayashi of Comba Telecom. Visit their site here. The outlook for commercial real estate is hotly debated and there are multiple forecasts showing either growth or decline. Despite this uncertainty, the integration and use of technology is intertwined with the future of CRE, and the ability to attract and retain tenants. From smart cities, IoT, and the connected building, real estate professionals are realizing that technology services within their properties can be key selling point. As the demand for more capacity, higher throughput, and innovative technology changes, building owners and managers should see the value of futureproofing their infrastructure from in-building wireless bandwidth limitations. One productivity solution gaining higher visibility among commercial real estate building owners and property managers is the Distributed Antenna System or DAS. It is rapidly becoming an ROI generator. DAS is a network that is designed to distribute and enhance commercial wireless signals inside buildings. As urban areas condense and the use of Green building materials in commercial real estate construction continues to expand, reliable indoor cell service becomes harder to provide. We take a look at the top seven reasons how DAS is impacting the bottom line for commercial real estate managers. Consumers today are always connected and more and more people are tied to their mobile devices. Research shows that 80 percent of all mobile wireless traffic comes from indoor environments. Whether answering emails, texting or watching YouTube videos, consumers demand always-on, high-quality, mobile service. But better wireless coverage is only half of the equation because capacity is equally important. Installing an enterprise-grade DAS system in a commercial real estate property can alleviate poor cell signals and increase overall capacity to ensure consumers receive a pleasant in-building online experience. The buzz words IOT, Smart City and Connected Building have resonated over the past couple years. Solutions for “Smart” lighting, HVAC, security, wearables and others will soon contribute to greater utilization of IOT services. These devices need to communicate autonomously and share data with each other in real time to be efficient. Connectivity and coverage are imperative or IoT to be effective. DAS can enhance reliable in-building communications for seamless connectivity. Most buildings offer Wi-Fi, but CRE buildings often experience bandwidth constraints when many too users connect to their network. Wi-Fi, is an unlicensed spectrum, meaning there isn’t any limit to the number of users trying to connect to a limited, shared resource. DAS can offload the Wi-Fi burden by adding coverage and capacity. Of course, DAS has a limited amount of bandwidth as well, but each assigned DAS user would have a dedicated pipeline to the cell network, therefore a better experience when Wi-Fi suffers from overcapacity problems. DAS provides excellent in-building mobile coverage. This translates directly into satisfied tenants who will be willing to sign higher rental rates and longer lease terms. A recent survey by Wired Score found that respondents, 87% and 77% respectively state ‘Internet’ and ‘Mobile Network Coverage’ as a key consideration when leasing space, after location. Additionally, while “Location is king, there is evidence that connectivity will soon be a more significant factor.” As a CRE property manager, ROI is the overall goal. DAS is an investment tool to attract, sign and keep tenants for long lease periods. Additionally, when the owner looks to divest the property, those buildings with the newest technology will be highly sought after and demand the highest prices, guaranteeing the best ROI. The cost the cost of installing a DAS system has come down dramatically. In the pasts, estimates were in the $3-to-$4 per square foot range. And now manufactures have been able to reduce that cost to as littles as $0.50/sq ft. This reduction in costs has opened the eyes of CRE managers who now see DAS as a viable option in their capital spending budgets. When the cost of installing a DAS is mere pennies compared to the overall budget, it is easily justified. Building owner could easily add a service line for ‘Telecom’ for a nominal fee of say $2/month to the overall rent. Some have referred to ‘Connectivity’ as the 4th utility. Security concerns and the growing awareness that data transmissions are more secure over a cellular network than a public Wi-Fi can serve as a great differentiator for CRE marketing efforts. The world that has become mind-bogglingly intrusive. Some employees fear that the corporate Wi-Fi networks are under an IT microscope and every data packet is being analyzed by management. There is reluctance to check banking or investment info over shared Wi-Fi simply because of the ease for even amateur hackers to obtain sensitive information. Although good in-building radio communications for emergency first responders is a top priority, the proliferation of personal devices over recent years has enhanced the perception of general public safety as well. FirstNet™, the first broadband interoperable network for responders, has been adopted by all 50 states and will amplify the importance of Public Safety data communications over commercial DAS. The pendulum has shifted over the past 10 years from a mindset that once coveted preemptive and exclusive radio communication for first responders to one that is inclusive and relies on commercial DAS for their own benefit as well as the public’s benefit. There should be no question that commercial DAS will play a critical role in the future for improving the safety of both tenants of CRE as well as our First Responders. These are just a few examples why installing DAS into commercial real estate properties is enticing and gaining the popularity among CRE professionals. 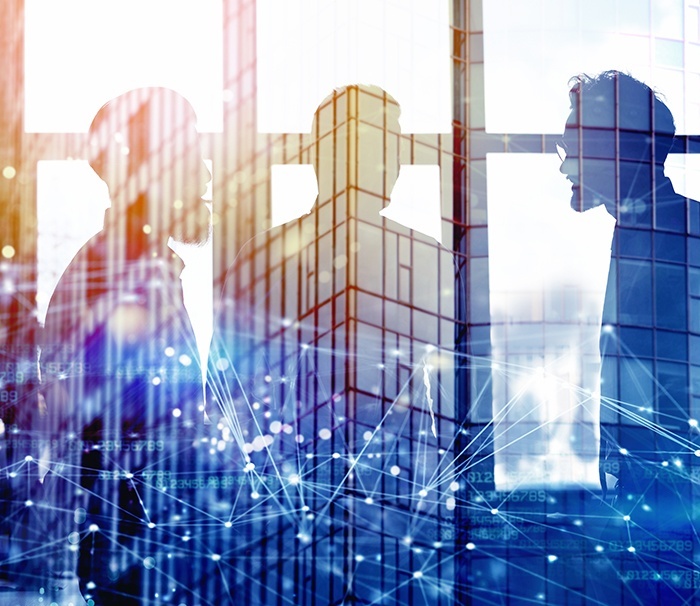 The convergence of commercial real estate and digital transformation is inevitable and for those commercial real estate professionals that embrace the technology and integrate them into their venues, will reap the benefits. Jeff (JR) Wakabayashi is marketing manager, North America at CombaUSA where he drives brand awareness by implementing a strategic marketing plans. Prior to joining Comba, he was a global Marketing Manager at Patriot Memory and before that, he served as a software engineer eWanted.